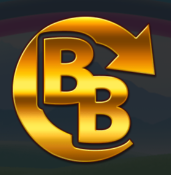 Barcrest’s Rainbow Riches series of online slots have kept is busy over the years and so we’re always pleased to see a new addition to this Irish-themed lineup; this one has the tagline Fortune Favours, it comes with the Fairy Bonus and of course Barcrest’s proprietary Big Bet option. 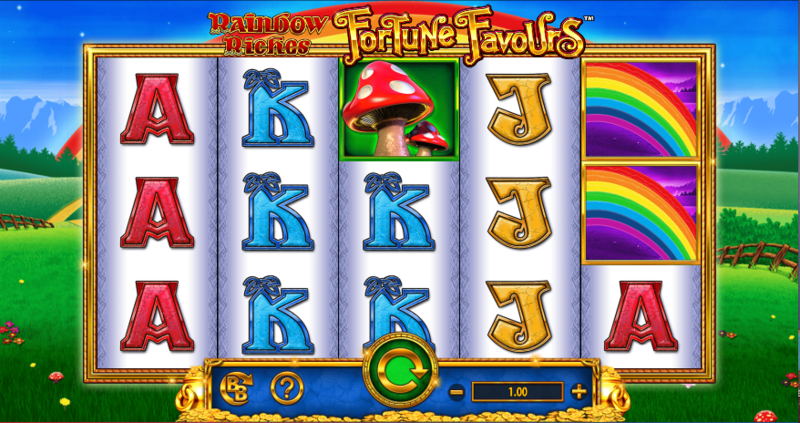 Rainbow Riches Fortune Favours is a five reel slot with three rows and ten fixed paylines; a leprechaun makes an occasional appearance from the left hand side, overlooking the gold-rimmed reels against a rural, green backdrop. The high value symbols comprise the game’s logo, a rainbow, a harp and some toadstools; 10, J, Q, K and A make up the lower values. The wild is a big, red ‘Wild’ on a gold coin, it only appears in the Big Bet game and it will substitute for all others to help form winning combos except for the Magic Fairy bonus symbol. 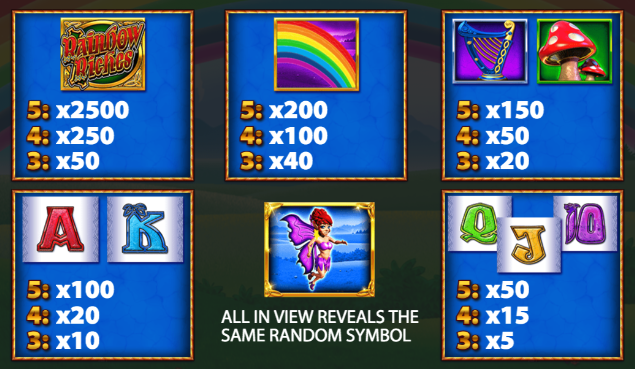 The Magic Fairy is active in both the standard game and the Big Bet option and when she appears she will transform into a random symbol with the potential to create a win on the reels. £10 – Magic Fairy is active. £20 – Magic Fairy is active and will transfer between reel sets. £30 – Magic Fairy is active, transfers between reel sets and the wild appears. £40 – Magic Fairy is active, wild is active and both transfer between reel sets. £50 – Magic Fairy is active, wild is active, both transfer between reel sets and 10, J, and Q are removed from the reels. Rainbow Riches Fortune Favours is a little less complex than other slots in the series (hence the shorter review) but the Big Bet option is always a winner and we will note once more that using it increases the RTP for this game from 94.00% up to a maximum of 98.00% when using the £50 option.